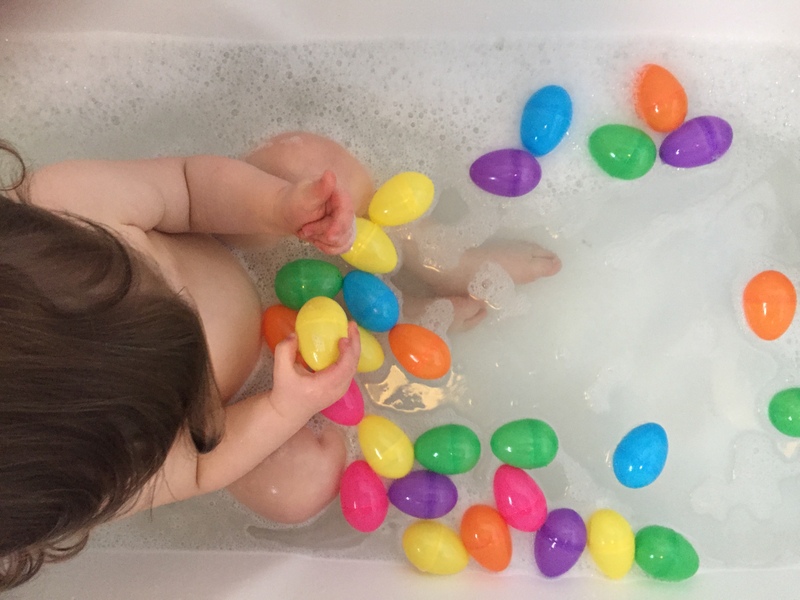 It has been ALL about Easter in my house this week, I’m making the most of work being quiter and Easter is quite possibly my favourite holiday. I love Christmas but it’s all work, work, work in December and April is a much calmer month. 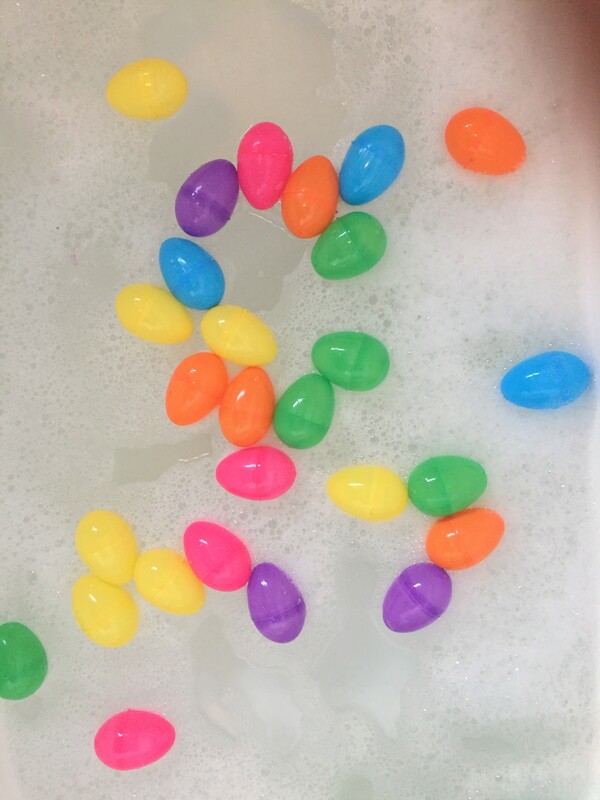 I didn’t give Neive the bowls and the spoons this time as she was having a quite a nice time just throwing them and we started moving them around based on their colour so I thought I would keep the other bits back for her bath tonight. 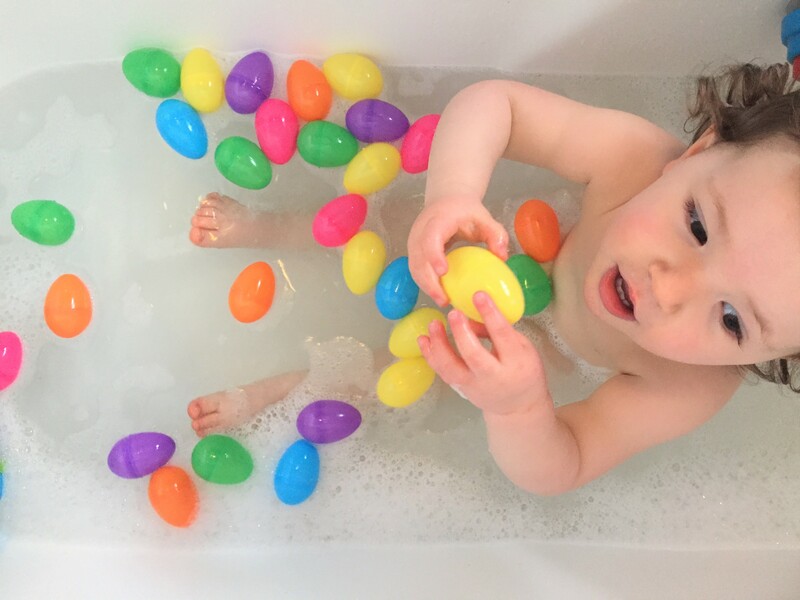 Neive is starting to understand colours, it’s still a bit hit and miss but she did have fun moving the eggs from one end of the bath to the other based on the colours (with a little help). 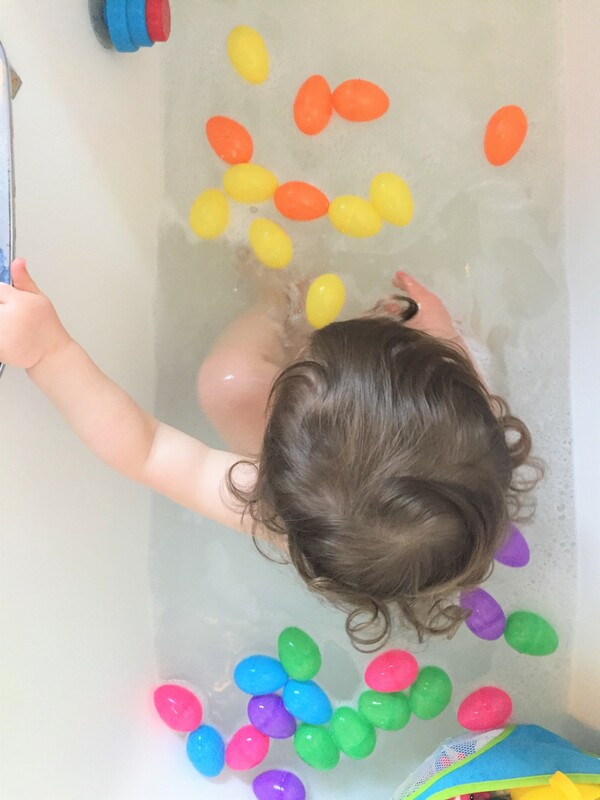 I got a great tip on Instagram for an ice play bath so i will be doing that one soon! Do you have any favourite bath themes?